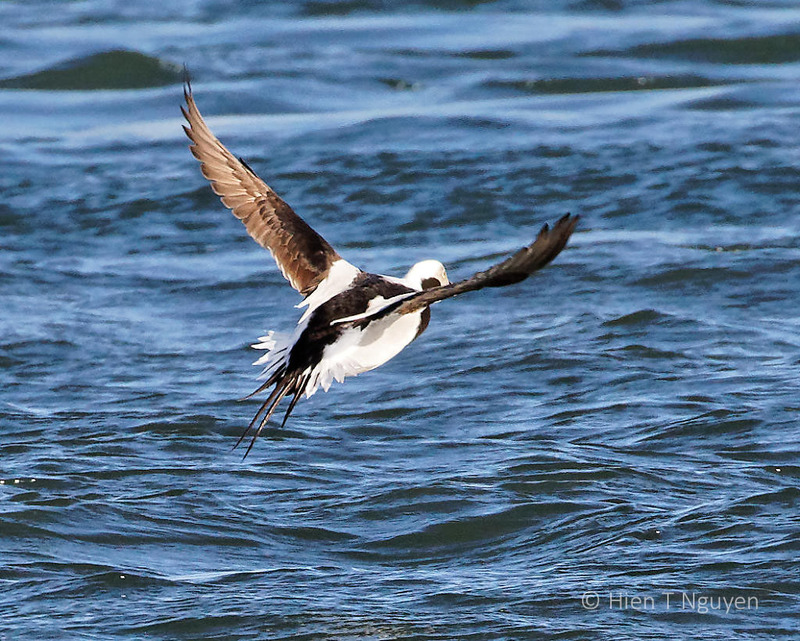 They’re beautiful creatures….I saw a few near here recently, it made me very happy. 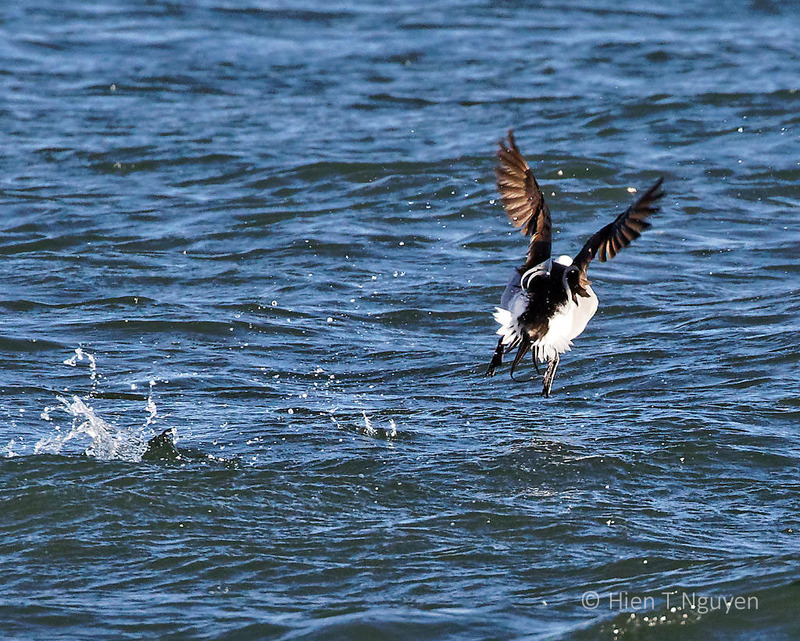 Very cool photos of the duck in flight! Wonderful captures, Hien! I wish you and yours a happy and healthy 2019! Thank you Helen, and the same to you. Looking forward to reading more of your posts in 2019. I wonder, is the tail used for balance? Or an attribute of beauty? I think it is the latter. Male Northern Pintails also have a long tail. And then there are Peacocks, OMG! More wonderful images of a species that I see only occasionally, up close that is. 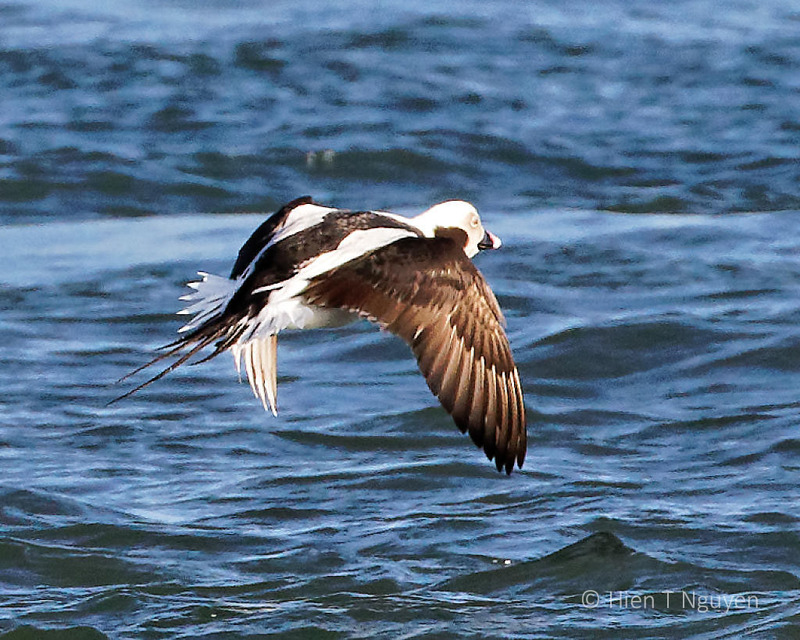 It’s not uncommon in Michigan to see flocks of long tailed ducks that number in the thousands and stretch for what seems to be a mile or more, out over Lake Michigan and out of camera range. 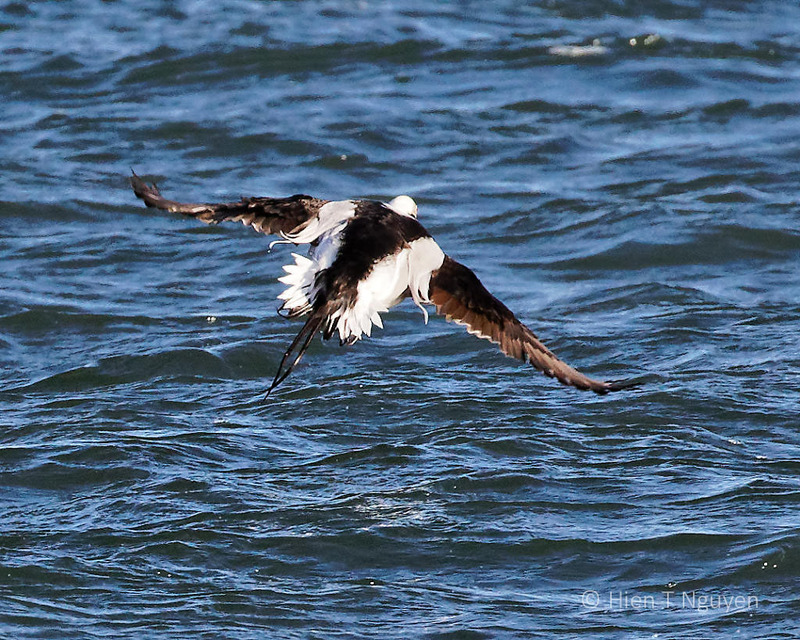 Only a few of them break away from the flocks to come closer to shore to feed and rest. 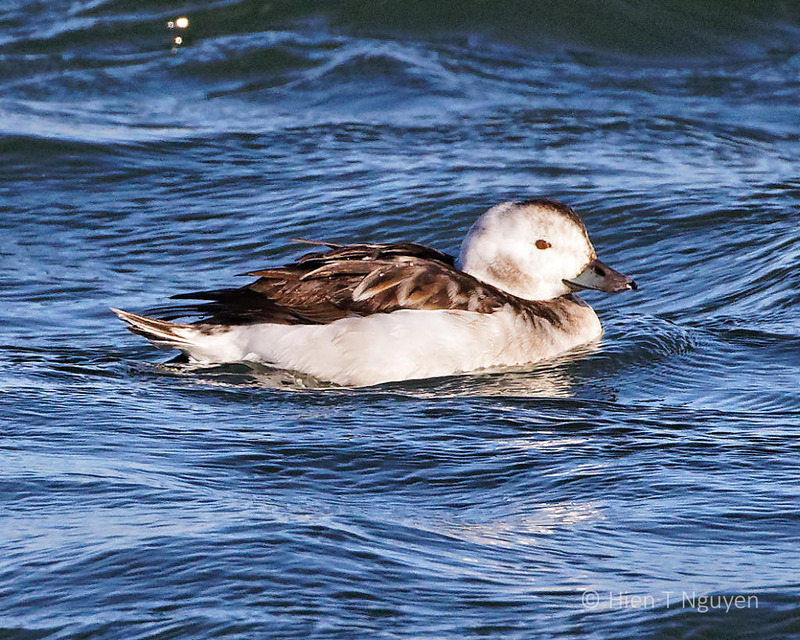 Thousands of Long-tailed ducks! 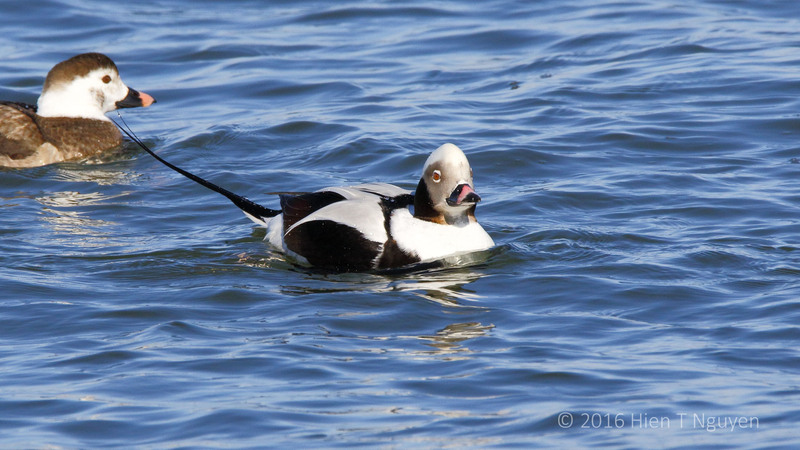 At allaboutbirds.org, they said these ducks are in steep decline! They may be in steep decline overall, but all I can report is what I see, and I see that they form the largest flocks other than Canada geese here in west Michigan.